If you’re like most people who watch cable or satellite television, there are things you love and things you’d love to change. You love the shows, but don’t necessarily need all the superfluous channels – and definitely don’t want to pay for them. Because of cost and un-watched channels, you might be considering a cable alternative available via streaming. But before you go all in on streaming, consider these easy steps to guarantee you get the most out of your entertainment. Before you consider cancelling your cable or satellite subscription, find out what the fallout will be. Some providers charge hefty fees for canceling early. Let this information guide when and how you cut the cord to avoid paying more than what you could save. Whether you watch sports, historical dramas, or anything in between, you’ll need to know which Roku channels carry your favorite content. Once you have a list of the shows and live networks you want, use a cord-cutting tool to see what streaming services, or channels, offer them. To make sure you don’t subscribe to more than you need, put your favorite channels in two lists: must-haves and wants. And don’t forget – most streaming services like DIRECTV NOW and Sling TV offer free trials on your Roku device, so you can see which one works for you. Everybody watches content differently. Some people binge. Others tune into a popular showafter dinner. By thinking about how and when you watch TV, you’ll be able to determine if you need a Roku channel that shows live networks or something that shows content on demand. From here, you’ll be able to narrow in on the channels that work best for you. 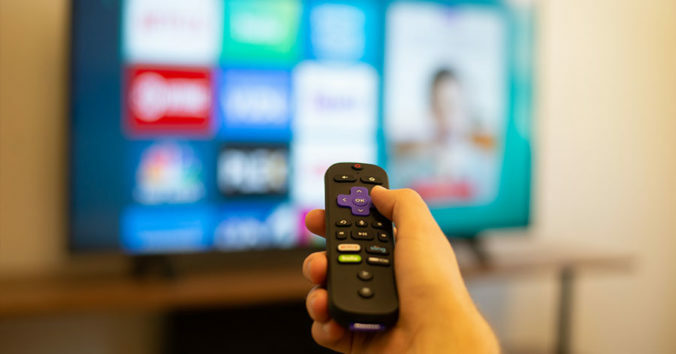 Once you’ve found the Roku channels that match your specific needs, you’ll need to check your internet connection to make sure your shows will come through with the best possible quality and avoid lag or buffering. Since you’ll be streaming content from the internet, your connection’s speed and reliability are important for your stream quality. Review the speed guidelines for your chosen channel first. Then compare the needed speed to your current speed. If the two don’t sync, try optimizing your Wi-Fi or researching other internet providers. You can cut the cord without sacrificing your favorite shows, but planning out how you do it can save you money and frustration in the long run. Follow the steps shared here, and you’ll be well on your way to an entertaining future.